Listen to "Your 15th Club: The Inner Secret to Great Golf" on your iOS and Android device. You go out to the driving range, you warm up with your irons, everything is going right. You pull out your utility clubs, you are hitting great. Your driver -- boom. The ball flies far and lands just where you want it. You head for the practice green...you drain every putt from 30 feet in. It happens to every golfer. The mind becomes their worst enemy. It's not physical. It's all in the head. How do listeners get their brains back to practice range? Why did it change? The preeminent golf psychologist Bob Rotella, whose counsel and knowledge is sought by hundreds of thousands, including the world's top players, has spent years trying to discover a way to get golfers to stay in the mindset that they can thrive in. 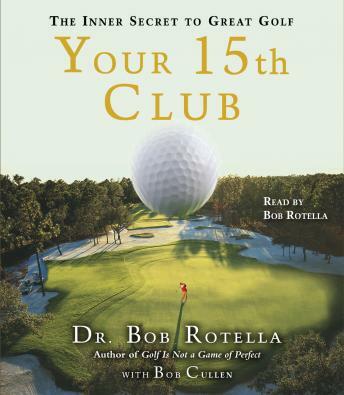 In Your 15th Club, Rotella has done just that: come up with a plan to help golfers play at their optimal best. It is something that every golfer will want to learn.